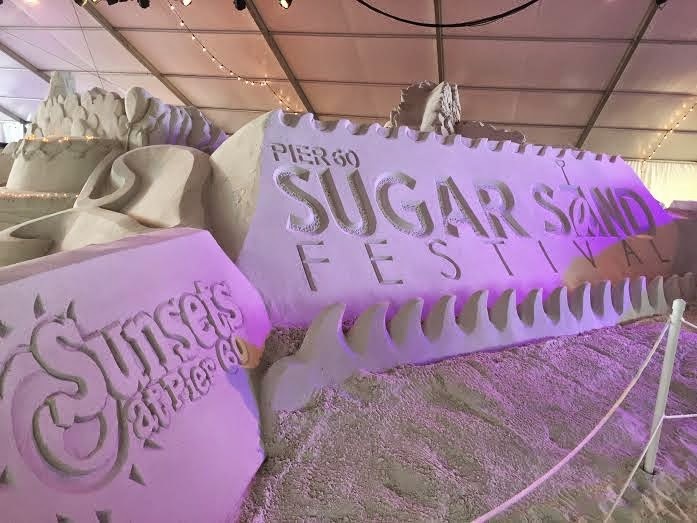 This past weekend we had the opportunity to check out an amazing event at Pier 60 in Clearwater - The 2015 Sugar and Sand Festival. This event features 10 master sand sculptures who spent 9 days creating unbelievable sculptures using 1000 tons of Clearwater Beach's sugar sand. The 2015 Sugar and Sand Festival's theme is Sugar and Sand Tales - an enchanted storyland featuring classic fairytales. Imagine walking through a 21,000 square foot tent seeing all of your favorite childhood tales brought to life in sand sculptures. This magical event runs through April 26, 2015 and tickets are only $10 for adults, $5 for children (free under 6) and $7 for military, police, teachers and fire fighters. Click here for more information and to buy Sugar Sand Festival tickets. 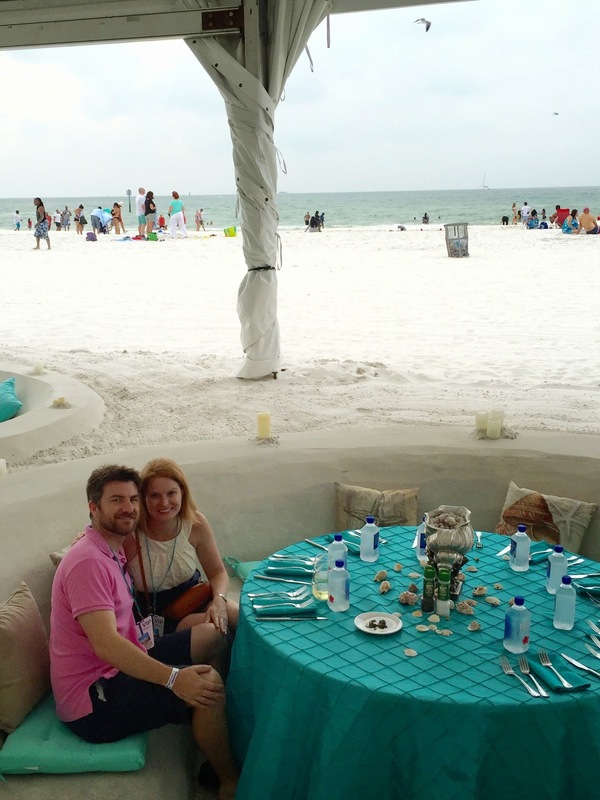 Not only did we get to check out the event, but we were invited to a VIP dinner where we got to dine in the sand! I am not talking about a picnic on the beach - literally dining on a table carved out of sand. 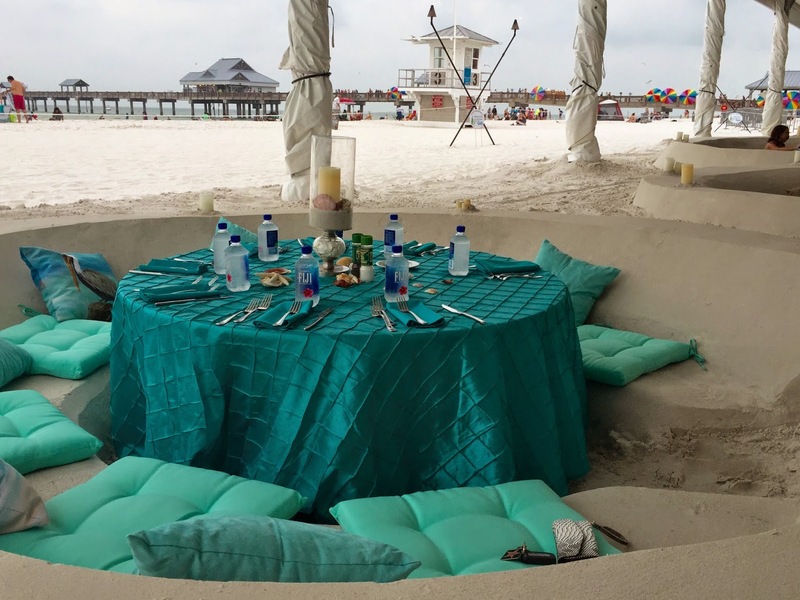 Catered by the always delicious Baystar Restaurant Group - we had enjoyed a culinary adventure on the sands of Clearwater Beach. 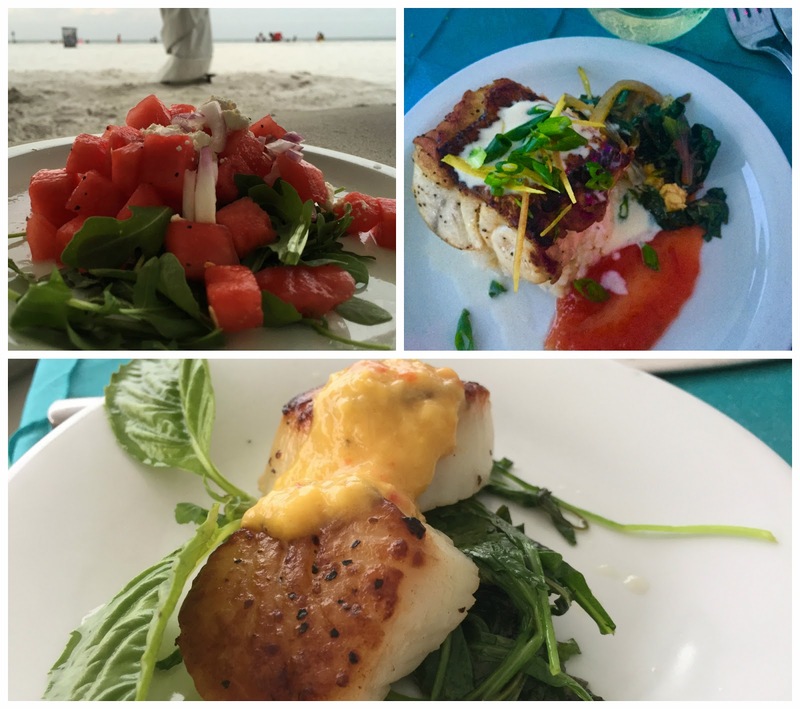 The dinner consisted of seared scallops, watermelon arugula salad, oysters, red snapper and key lime pie. As I am writing this post, my husband is sitting over my shoulder exclaiming once again how amazing our dinner was. Following dinner, we watched a firework display over Pier 60, which will also take place this upcoming weekend. There is also a free concert series on the weekends. Click here for more information on the beach concert series.